Many of these west coast bands are legendary; Jefferson Airplane, The Doors, The Byrds, and Strawberry Alarm Clock. The Monkees and The Beach Boys also had selected songs in the psychedelic vein, especially their later releases. Many others have been somewhat lost in time; Clear Light, Moby Grape, The Beau Brummels, The Electric Prunes and The West Coast Pop Art Experimental Band just to name very few. The Goth Mountain Studio is located in the Santa Cruz Mountains of California. I work and live in these mountains which are so rich in rock music history. In the 1970’s, I spent time at historic venues like The Chateau Liberte’, The Boots and Saddle Lodge, Stevens Creek Lodge and others. If you’re interested in reading more about this music history, check out my Reverbnation blog. 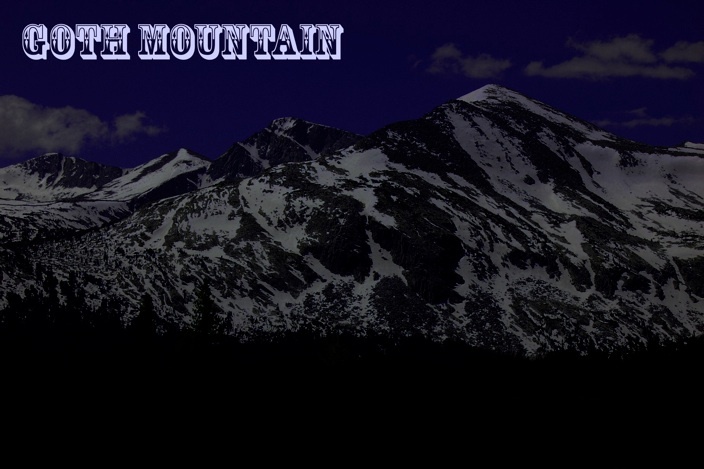 You can also listen to many Goth Mountain songs for free. I recommend ordering cds from CDBaby or downloading on iTunes. Thanks from your friends high atop Goth Mountain. Peace.